From Jodi Arias to Sammantha Allen and Scottsdale's "Torso Murder," Arizona has had its fair share of notorious female killers over the years. For the entire month of February, we're putting a twist on our popular Friday night series: Arizona’s Most Wanted. Be sure to watch 12 News at 10 every Friday this month as we highlight the active cases of women wanted by police. Murderers are almost always men. The FBI says just eight percent were women in 2017. 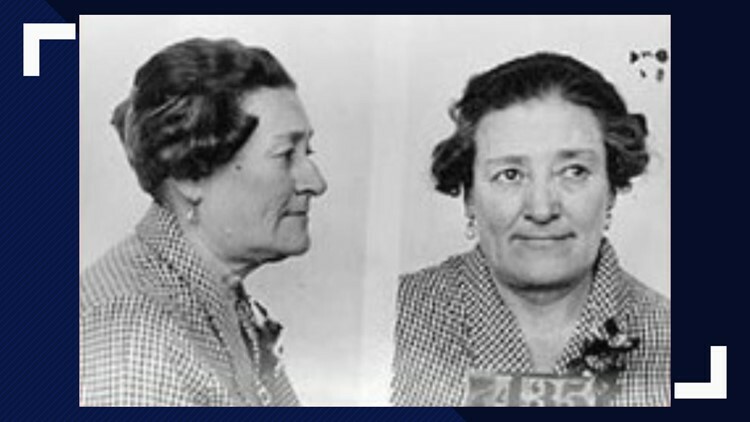 In nearly 70 years, only 11 women have appeared on the FBI’s Most Wanted list. The first was Ruth Eisemann-Schier who buried alive the daughter of a wealthy land developer in a kidnapping plot. But Arizona has had its fair share of notorious female killers over the years, some of which have even garnered national attention. Many of Arizona’s most notorious female criminals are already behind bars. Only four women have ever been sentenced to death in Arizona, and only one was actually executed. RELATED: Who are the women on death row in Arizona? The most recent woman to be given the death penalty was Sammantha Allen in 2017 for the killing of her 10-year-old cousin, Ame Deal. The first and last woman to ever be executed was hanged on Feb. 21, 1930. She was sentenced to death for killing a rancher in Tucson. Wendi Andriano was found guilty of first-degree murder in the 2000 death of her husband. Her husband had been hit on the head at least 23 times with a barstool and stabbed in the neck. He also had sodium azide, a pesticide, in his system. Shawna Forde, a rogue Minutemen leader on the Arizona border, was found guilty of first-degree in the 2009 murders of Raul and Brisenia Flores. Sammantha Allen was found guilty of murdering her 10-year-old cousin Ame Deal. 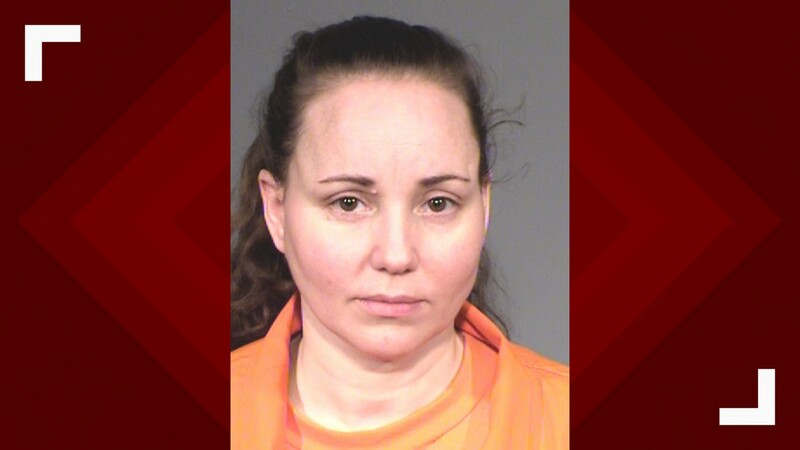 She is the most recent female criminal to be sentenced to death in Arizona. Jodi Arias was convicted in the 2008 murder of her ex-boyfriend Travis Alexander and sentenced to life in prison. Valerie Pape was the owner of a chic hair salon in Old Town Scottsdale who was at the center of Scottsdale's "Torso Murder” in 2000. Her husband, Ira Pomerantz's body had been butchered. His legs, both arms and head were hacked off. She was sentenced to 16 years in prison for second-degree murder. Marissa DeVault was found guilty of first-degree murder in the 2009 killing of her husband, Dale Harrell, at their Gilbert home. His head had been caved in with a claw hammer. The first and last woman to ever be executed was hanged on Feb. 21, 1930. Eva Dugan's gruesome death led to capital punishment reform in Arizona, a switch to the gas chamber. Born in 1878, Dugan floated from town to town for work before winding up in Tucson where she went to work for rancher Andrew J. Mathis. Dugan was fired for unknown reasons just a few weeks later and Mathis disappeared shortly afterward along with many of his possessions. Dugan reportedly sold Mathis’s car and was eventually arrested in 1927 in New York. She was extradited to Arizona to face auto theft charges. Months after she was imprisoned for auto theft a shallow grave with Mathis' decomposed remains were found near his ranch. Dugan was sentenced to death. "If I was a flapper with pretty legs, I never would have been convicted and given the death penalty," she reportedly said. During her hanging, her head was severed from her body, causing five people to faint. 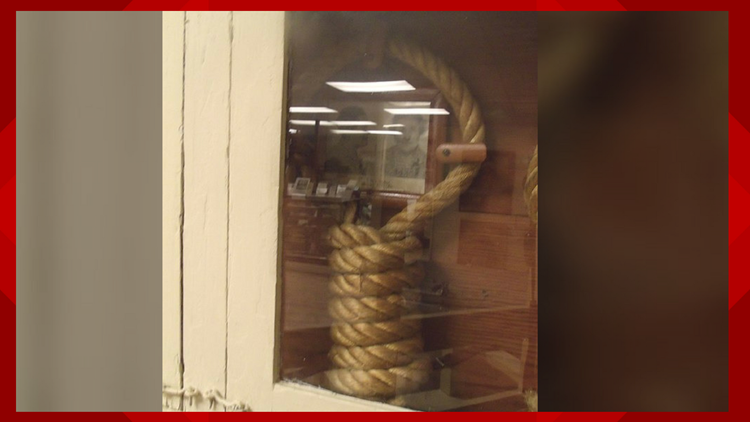 The noose used to execute Eva Dugan is at the Florence-Pinal County Historical Society and Museum. Wendi Andriano was found guilty of first-degree murder in the 2000 death of her husband. 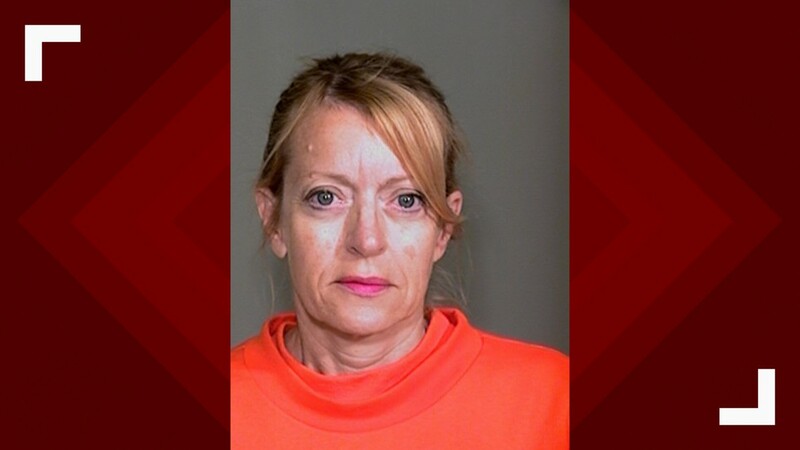 Joe Andriano had been diagnosed with a terminal illness and, according to the Arizona Department of Corrections, Andriano had allegedly become "resentful of her responsibilities." Wendi Andriano's Arizona Department of Corrections photo. According to the ADOC, Andriano allegedly researched the effects of various poison after hatching a "scheme to kill her husband and profit from his death." She began slipping him sodium azide. Andriano called 911 on the night of Oct. 7, 2000 to get her husband medical help. A coworker she called to help with the kids said he saw Joe Andriano lying in the fetal position on the floor in the living room vomiting and looking weak. Paramedics arrived but were turned away by Wendi Andriano. She called 911 again in the early morning hours of Oct. 8. Responders found Wendi Andriano with a bloody shirt and her husband dead on the floor with fatal head injuries and a stab wound to his neck. A bloody barstool was nearby. It was later determined that Joe Andriano had been hit on the head at least 23 times. He also had sodium azide, a pesticide, in his system. Andriano claimed she had tried to help Joe take his own life, and when the assisted suicide attempt failed, the two fought. Andriano said her husband's death was the result of self defense. 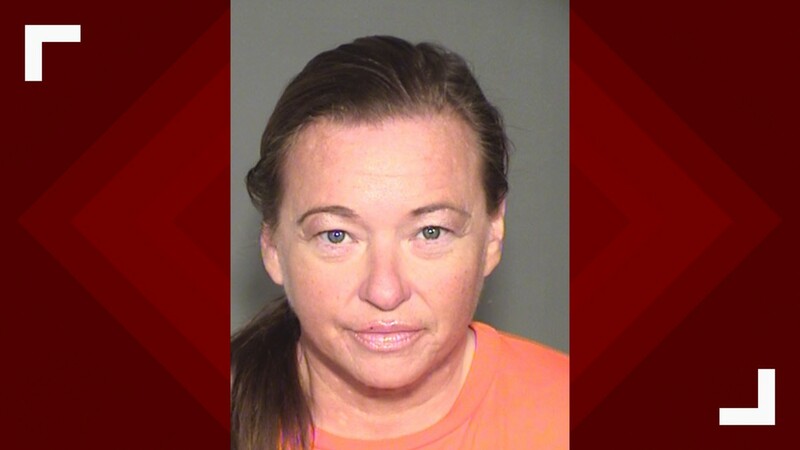 According to the ADOC, Andriano also claimed she was "physically and psychologically abused by her husband," but her friends never "observed any signs of abuse." She is appealing her death sentence and filed a federal habeas corpus appeal in April 2016. Shawna Forde was found guilty of first-degree in the 2009 murders of Raul and Brisenia Flores. Forde was a rogue Minutemen leader on the Arizona border. Forde, along with two others, burst into the home of the Flores family in Arivaca, Arizona, in the middle of the night. Shawna Forde's Arizona Department of Corrections photo. The trio claimed to be agents looking for fugitives. They took jewelry, then shot Raul Flores, his daughter, 9-year-old Brisenia, and his wife, Gina Gonzales. Evidence showed Forde planned the attack. She was sentenced to death. 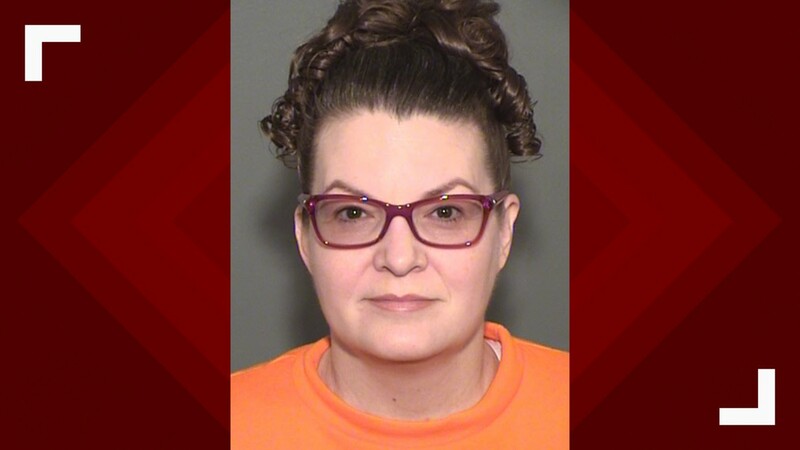 Sammantha Allen's Arizona Department of Corrections photo. Deal died in in 2011 after being locked inside a plastic box that was left outside in the Arizona summer. She was being punished for supposedly taking a popsicle without asking. Her death came after a long history of abuse, according to reports. During her trial, the defense argued Allen was guilty of child abuse, but she was not guilty of murder. They argued the form of punishment was commonplace in the house and done at the request of Deal's legal guardian. Her husband, John Allen, was also sentenced to death for Deal's murder. The two became the first married couple ever to be sentenced to death in Arizona. Arguably one of the most high-profile murder cases in recent Arizona history. Jodi Arias was convicted in the 2008 murder of her ex-boyfriend Travis Alexander. Arias stabbed Alexander 27 times and shot him in the head. She never denied killing him, but tried to claim self-defense. 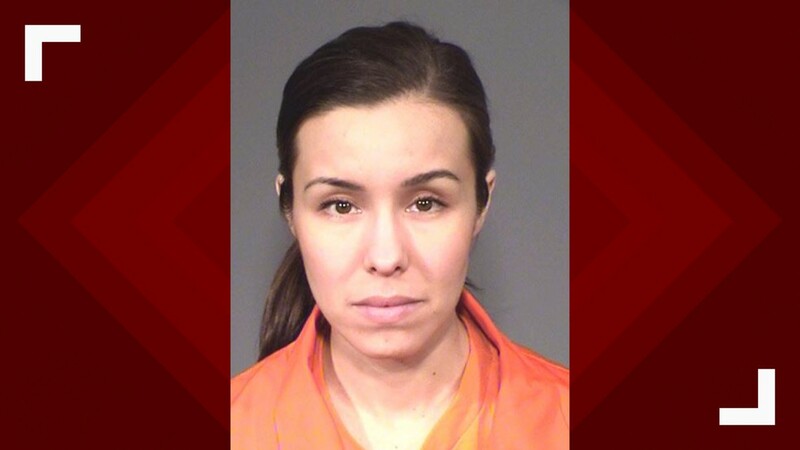 Jodi Arias's Arizona Department of Corrections photo. The case garnered national attention and even led to a made-for-television movie. Prosecutors and Alexander's family wanted the death penalty but didn't get it. She was sentenced to life in prison without parole. Her conviction is currently being considered by the Arizona Court of Appeals. Valerie Pape was the owner of a chic hair salon in Old Town Scottsdale who was at the center of Scottsdale's "Torso Murder” in 2000. Her husband, Ira Pomerantz's body had been butchered. His legs, both arms and head were hacked off. Pape was spotted dumping his torso, which was all that remained, into a dumpster at a Mesa supermarket. RELATED: Scottsdale's 'Torso Murder': Where is the rest of the body? Valerie Pape's Arizona Department of Corrections photo. According to reports, police responded to several calls of a domestic disturbance at the couple's Scottsdale home. Pomerantz, a widely known bar owner in Chandler, had lost the lease to his bar. Pape refused to front him cash. She also refused to kick out the French housemate that had moved into their home right around the time their marriage began to crumble. Months before the murder, in October 1999, Pape obtained a court order to keep her husband away. She feared for her life. But days later she would ask a judge to toss out the order. Valerie Pape, the Torso Murderer. In January 2000, Pomerantz's torso was found wrapped in plastic in a Basha's dumpster. Pomerantz had been shot in the back and the bullet traveling into his head, investigators said. But the bullet, nor the gun, nor his head were found. No blood evidence linked Pape to the crime. Authorities believe Pomerantz's body was frozen for four days after he was murdered and then chopped up. Police found that Pape had recently purchased a reciprocating saw. But the saw nor blades were ever found. Pape was jailed for over two years awaiting a trial that never actually happened. In August of 2002, she admitted to shooting her husband in the heat of an argument. She pleaded guilty to second-degree murder and was sentenced to 16 years in prison. She was released from prison in 2016 and deported to her native France. But to this day, Valerie Pape has never revealed where the rest of her husband's body is and police believe she has help dismembering her husband. Evidence collection after Pape was arrested in connection to the death of her husband. Marissa DeVault was found guilty of first-degree murder in the 2009 killing of her husband, Dale Harrell, at their Gilbert home. 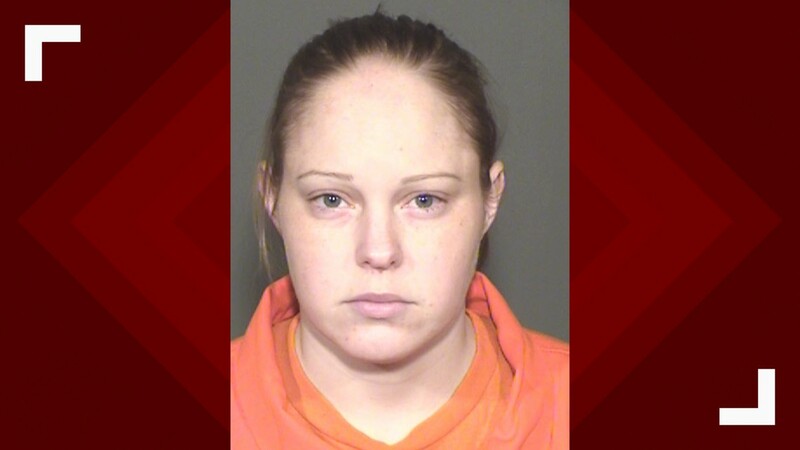 Marissa DeVault's Arizona Department of Corrections photo. Harrell's head had been bashed in with a claw hammer. Police responding to DeVault's 911 call found him on the floor in the upstairs bedroom. DeVault was covered in blood. Harrell died at the hospital three weeks later. DeVault would ultimately confess to caving in her husband's head with the hammer, but claimed self-defense and later blamed his murder on her friend.